Tired of unsightly spider veins that show up all too clearly whenever you try wearing shorts or a skirt? You may be hesitant to attempt any kind of treatment due to apprehension about an invasive procedure or worry about high costs. Here at Medical Aesthetics at Guilford, we understand your concerns. Because of this, we provide Gainesville spider vein treatment that is cost-effective and will cause you no pain or inconvenience. It’s time for you to feel like you have nothing to hide! At the Wellness and Aesthetics Institute of North GA, we are confident that we have the best spider vein treatment Gainesville, GA has to offer. Rather than utilizing an uncomfortable or invasive process, we use a modern, cutting-edge laser vein treatment to make a procedure that feels like nothing at all. We chose the Cutera CoolGlide system, which can completely eliminate your spider veins using pulses of harmless light energy. Our sessions only last fifteen minutes, and only one to three are typically needed to completely cure your spider veins. Sessions can also be spaced several months apart. We aim to provide you with the most convenient spider vein treatment in Gainesville, Georgia, and whatever your busy schedule may be, we promise to work with it so that you won’t have to be reschedule anything to attend your treatments. Looking for something else besides spider vein treatment? Our CoolGlide technology can also be used to treat everything from rosacea to sun damage. For a more comprehensive summary of our services, look through the pages on our website detailing our laser treatment options. 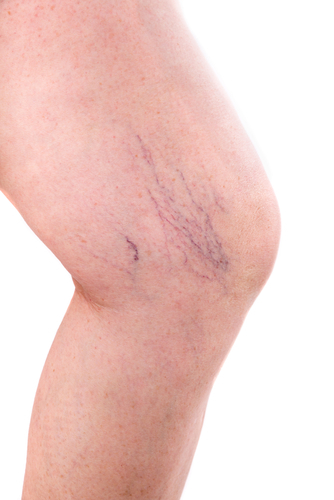 Have any further questions about our Gainesville spider vein treatment? Feel free to call us with any queries, or go ahead and set up your absolutely free consultation today! You can also stop by our Gainesville office, conveniently located on Jesse Jewell Parkway. We look forward to hearing from you!